Colin Campbell, Professor Emeritus in Sociology, was a pioneer in the social scientific study of irreligion but after the 1971 publication of his groundbreaking book, Toward a Sociology of Irreligion, he — and sociology — moved in other directions. On the republication of this classic work, Campbell reflects on the rise and fall — and rise again — of the project he originally conceived of over four decades ago. [The] opening sentence of Toward A Sociology of Irreligion reads “No tradition for the sociological study of irreligion as yet exists and this book as been written in the hope that it will stimulate the development of just such a tradition”. Looking back, I am not sure that I did actually have that much hope, when those lines were written in 1970, that this would come to pass. After all I was a junior academic, only having completed my PhD three years earlier, and hence had no particularly good reason to believe that anyone would take much notice of my work, although I did imagine – perhaps naively – that such an important topic would not continue to be ignored by academics for much longer; even though I was not so vain as to imagine that my own contribution to the field would, in itself, kick-start such a development. How wrong could one be? For, in the event, not only did my book have a negligible impact, but the study of irreligion continued to be neglected for a further three decades. It should perhaps be noted, in all fairness, that my optimism was not entirely without foundation, for there had been some stirrings of interest in this topic both in the USA and Europe in the late nineteen-sixties. Nor indeed was I the only academic interested in this area of study in the 1970s, as I discovered when I embarked on my research. In the event these signs of interest proved to be indicators of a false dawn. Quite how long the wait would be before my hopes would be realised is rather starkly revealed by the citation data for the book. For, according to the Harzinger Publish or Perish data-base Toward A Sociology of Irreligion was cited a mere five times between its publication in 1972 and 2006; in other words about once every seven years. However, by 2011 it had been cited some 86 times, meaning that between 2005 and 2011 it was accumulating some 14 citations per year; evidence that my hope that the work might spark an interest in the study of irreligion was perhaps being realised after all. But then, as Lois notes in her [Introduction to the new volume], this marked change of fortune raises an intriguing, if challenging, question. Why did it take so long for academics to become interested in this particular topic? This is not an easy question to answer, and I am not sure I am best qualified to attempt to do so, but I can at least answer a not entirely unrelated question, which is how it was that I became interested in the topic of irreligion in the first place. In part the story is purely biographical, and relates to my involvement, at a relatively young age, in the Rationalist Press Association (the publishers of the magazine The Humanist), and subsequently the emerging British Humanist Movement. This meant that by the time I started my academic career in the early 1960s, I had direct personal experience of irreligious people and their organizations. It was therefore understandable, when contemplating what topic I might select for a PhD, to consider the British Rationalist and Humanist Movement, given that I knew it had not been the subject of academic study. What made this an even more tempting choice for me was that I had also taken the decision to specialise in the sociology of religion; the relevant point here being my growing belief – which is expressed in the book – that the study of the rejection of religion might well provide a new and fruitful perspective from which to interrogate some of the long-standing, and apparently intractable, problems in the sociology of religion itself. Consequently, almost as soon as I started my teaching career in November 1962, I registered for a PhD (as an external student of The University of London), the title of which eventually became “Humanism and the Culture of the Professions: A Study of the rise of the British Humanist Movement 1954-63”. At first I had little idea where the thesis would take me, contenting myself with the modest aim of charting the nature and history of this movement whilst collecting as much demographic information about its membership as possible. The latter required a postal survey and hence a questionnaire was sent to all registered members of the British Humanist Association, The Ethical Union and The Rationalist Press Association, the results of which revealed that humanists tended to be male, young to middle-aged, married, with some experience of further education, and characteristically employed in the professions. It was this latter observation that became the basis for the central argument developed in the thesis. Like many a graduating PhD student before me I naively hoped that it might be possible to publish the thesis more or less as it was. 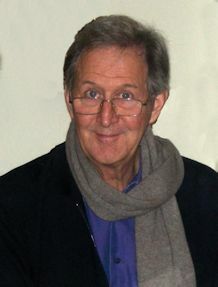 However, when the opportunity came along John Wakeford, who was the editor of the series in which the book would appear, as well as the publishers, Macmillan, felt that humanism was too narrow a topic for their “Perspectives” series, and hence pressed for a somewhat wider remit. Thus it was that although the thesis mainly concerned humanism and the humanist movement, the book had irreligion as its central focus. Looking back, I think I assumed, given that the Humanist movement itself was growing fast in Britain in the 1960s, then so too would academic interest in both the existing alternatives to organized religion and the rejection of religion itself. What I don’t think I had anticipated was that, while the one would certainly continue to flourish, at least for a while, the other would simply not take off. But then I was not the only sociologist who, in the late 1950s and early 1960s, made erroneous assumptions about future trends. For, viewed from the perspective of the twenty-first century, it is easy to forget that no-one at the time would have forecast the coming of the youth movement or counter-cultural revolt of the late sixties and early seventies, with its unique mix of bohemianism, radical politics, magic and mysticism. [In] the years after the publication of this work, I turned more and more to the study of the larger Western cultural system of which these phenomena were components. This change of focus did not mean that I lost all interest in the sociology of irreligion, for my youthful enthusiasm for the topic meant that the subject still held a fascination for me. It was merely that it had ceased to be the focus of my research. Consequently, whatever the reason is for the current and long-overdue upsurge of academic interest in atheism, secularity and non-religion, I am naturally delighted that it has happened. Colin Campbell and Lois Lee discussed ‘The Sociology of Irreligion: Past and Present’ at this year’s NSRN Annual Lecture, held in London this month, A podcast of this event will be available shortly. Toward a Sociology of Irreligion (2013) is published by Alcuin Academics. The revised edition reproduces the original (1971) text with a new introduction by Lois Lee and an updated bibliography. It is available for purchase via Amazon. This entry was posted in NSRN Blog, Publications and tagged Colin Campbell, humanism, Lois Lee, NSRN, Research, Toward a Sociology of Irreligion. Bookmark the permalink.